We’ve had some great shows in Savannah in 2011 — and it’s far from over. 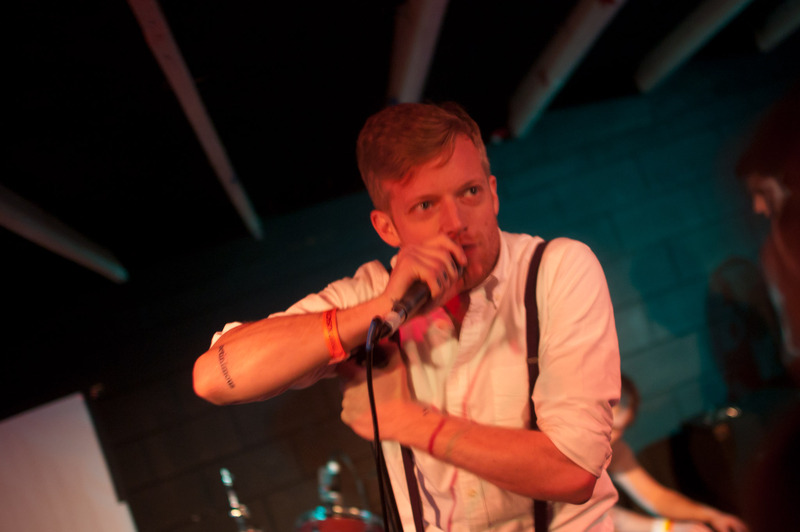 One of the highlights of my year is certainly the Savannah Stopover gig by Astronautalis in March at The Wormhole. Some sound issues led Astronautalis (born Andy Bothwell and raised down the road in Jacksonville) to abandon his mic for about half the show. Some were frustrated by this, but I found it thrilling, as I wrote here. I wrote “This is Our Science” about the last 7 years of my life touring, traveling, drifting, and working. About the friends I’ve made, the lessons I’ve learned, and the stories I’ve lived on this endless exploration into my art, my mind, and the world at large. Throughout this adventure, there has always been a place that I kept my stuff while I was gone; sometimes in boxes in a basement, sometimes on a bookshelf in a bedroom, but I have never had what I would consider a real home. I always said, “the world is my hometown, and all the countries are just neighborhoods I like to visit”, but that definition never felt right to me. Something was missing. It wasn’t until I really started writing the album that I took time to sit back and reflect on this life lived without an anchor, and it was then that it became abundantly clear that home may never be a place for me. There is much more in the post, including a link to pre-order the album. Looks to be a perfect hole in the schedule for a Savannah stop October 30th, let’s get on it!